One of the most common questions I hear about laser cutters is “What thickness will it cut?”. Obviously this in part, depends on the material density and consistency and how cleanly you want to cut it. However as a bit of a guide this video is an excellent visual explanation of why we use a little tool to set the height of the lens above the work piece as well as how the lens works. 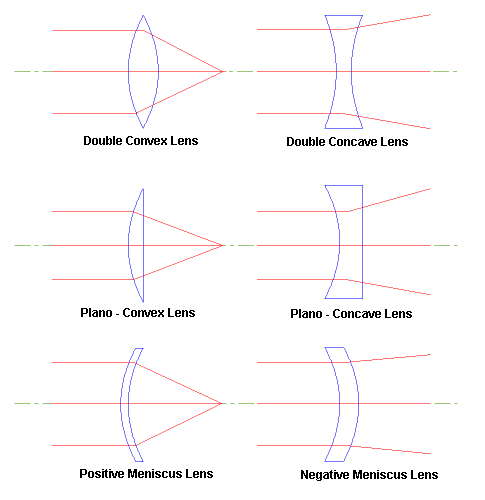 Note: In the video MakeStuffNow uses a double convex lens as an illustration, most laser cutter lenses are positive meniscus (i.e. the curvy side goes up towards the mirror and the cuppy side goes down towards the work. Most economy eBay and other Chinese CO2 cutters as well as most Trotec, HPC, Sharks, Epilog, KH-7050 and other common cutters with tubes between 35W - 80W have a 50.8mm (2") Focal Length Lens. Diameters vary but most are 20mm OD. For a really deep cutting depth on low density material like foam for instance or for etching on an uneven surface, consider using a 101.6mm (4") focal length lens. Also available in store (economy version coming soon).